In three days' time it's officially December, which means we're allowed to start going Christmas crazy! I've tried to hold back, only mentioning the C-word when totally necessary, however the time has come for us to start donning some tinsel and ramping up the chrimbo cheer!! 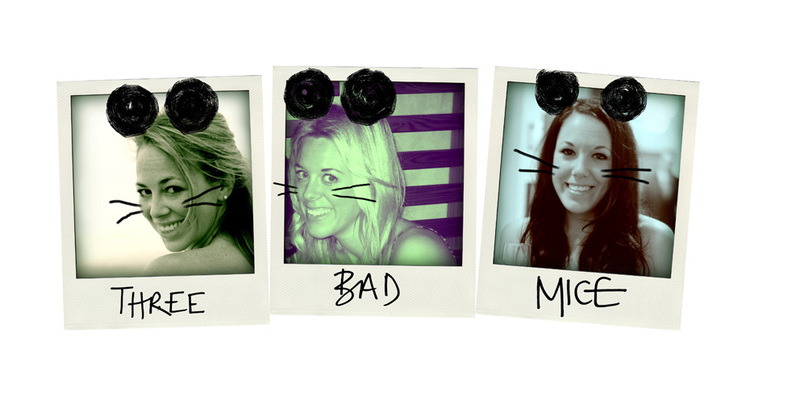 We all know how jam-packed December gets with work socials, tonnes of festive events and Christmas jumper parties galore (fear not if you're on the hunt for your 2014 knit, a post of this year's best will be winging it's way to you shortly), so, we need to be organised to avoid missing out on all the fun! Christmas themed events are popping up left right and centre but to have any chance of joining in we need to act quick smart! Some are already sold out...proof to be wary of all those Scrooges out there. In fact, I'm starting to think that the 'Bah Humbug' may all be an act to put us off getting to the front of the queue! Berkeley Winter Cinema - I was dying to go to this last year but didn't manage to make it down, so this year it's back at the top of my list! 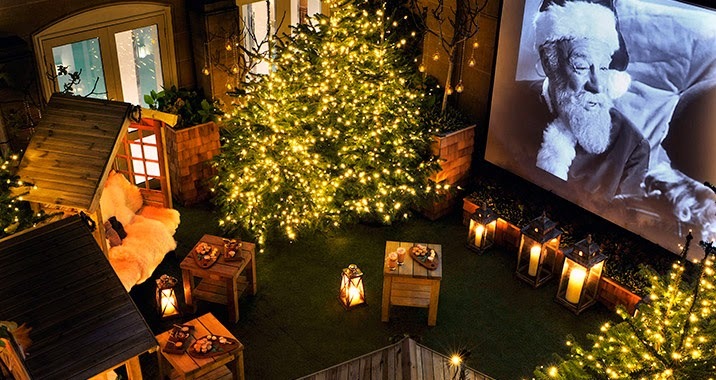 A magical Christmas rooftop cinema complete with wooden handmade cabins, hot water bottles, cashmere blankets, hot chocolate and snacks whilst watching a Christmas favourite! I can't think of anything I would rather do...well perhaps pay an extra £20 for the champagne version!! Standard tickets are £50 and give you admission to the 5pm and 7pm seating, bottomless hot chocolate and mince pies. Or pay £75 for a glass of champagne and canapes! Le Chalet at Selfridges - what more could you want than a cosy candle-lit alpine chalet way up in the sky?! Think twinkly trees, thick tartan blankets, lanterns and fur throws - the perfect ski chic log cabin! Don't expect super festive dishes, officially it has an alpine BBQ theme but I've heard great things about the tiger milk ceviche and the spit roast suckling pig. Oh, and lobster macaroni doesn't sound too bad either! My favourite bit...the hot chocolate bar yum yum yum!!! Pop up Screens Notting Hill - if the Berkeley option is slightly out of your price range then this will be right up your street at £20 a ticket. Enter through the back of a wardrobe and into a winter wonderland complete with snow! Fear not it's all snug and cosy indoors with a festive helping of mulled wine and mince pies to get you in the mood! Plus, with a movie line-up of our all time favourites of Elf, Love Actually, Home Alone and Arthur Christmas you're pretty much guaranteed to go back night after night!! Night Tales - if dancing in a twinkly-lit gazebo whilst drinking copious amounts of steaming mulled wine and devouring treats from gourmet food stalls sounds like your sort of thing, then have I got a treat for you?! 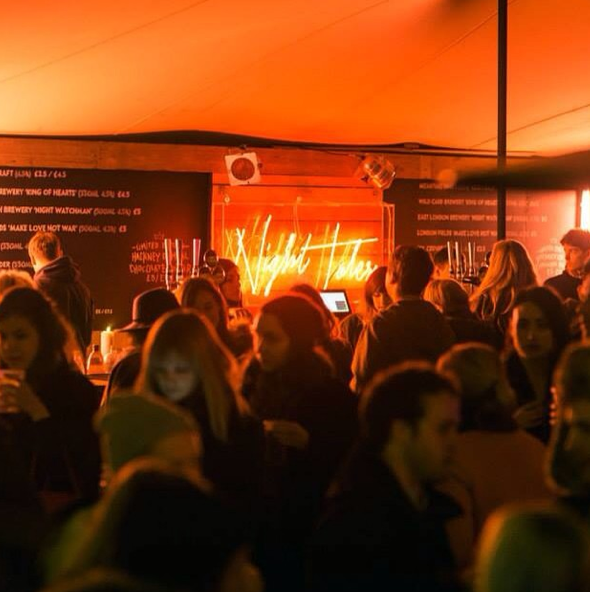 Night Tales delivers all of the above and more...a converted outdoor space in East London filled with wild gardens, live music and far too much fun! They've roped in Patty&Bun, Rum Kitchen, Voodoo Rays and Morty and Bob's to lay on the food and a hot cocktail bar to ensure everyone loses their inhibitions and fills that dance floor! 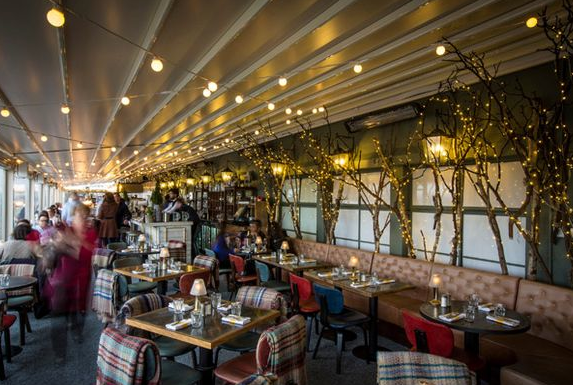 Cheese On The Terrace at Kensington Roof Gardens - if like us, you like nothing more than devouring platefuls of cheese over the festive period, this is the perfect way to while away an evening! High up away from all the London bustle The KRG team are serving up baked cheeses and fresh bread with the city's skyline as your backdrop! They've literally got all bases covered with a hot cocktail menu to battle those winter chills! 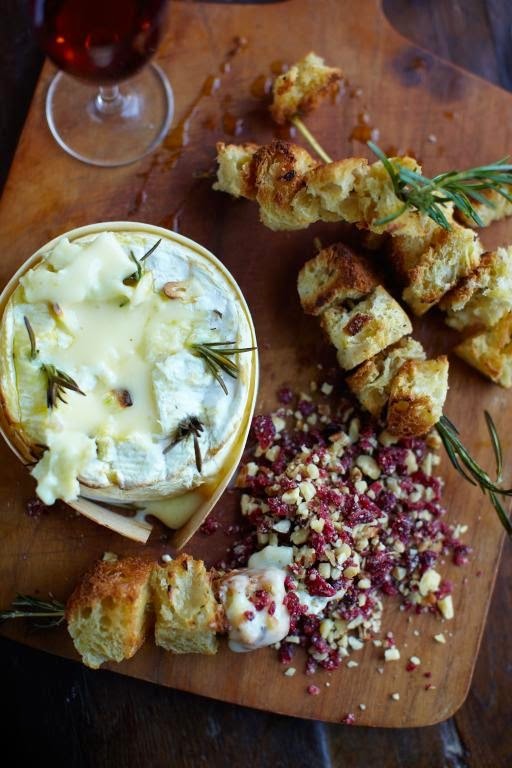 I'm already drooling over the thought of Camembert topped with garlic purée, grated Autumn truffle and bread crumbs - divine!